Summer is here and it is hot! It is also a very humid summer as compared to previous years. This heat and humidity makes conditions ripe for growing mold in any area of your home that has moisture or can be exposed to the elements. One culprit can be areas where condensation has been created by air conditioning. Summer is a season where mold can not only grow but spread quickly. Awareness is key, know the signs and stop mold in its tracks by calling a NJ mold testing company to determine if you have a problem. Can You Control Summer Mold? Luckily you do have some control, it just takes a little attention and perseverance. Wet bathing suits and damp towels are a great place to start – hang them up to dry and never let wet clothing and towels wind up in piles on the floor. But the mold that can occur from damp clothing isn’t the biggest danger to your home. The areas of condensation that can result from your air-conditioning unit, moisture under cabinets, and under wet carpets can grow more rapidly during the summer months. 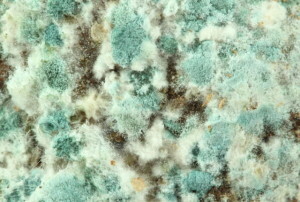 This hidden mold is more dangerous for the simple fact that you cannot see it! One way to avoid quick growing mold in the summertime is by utilizing a dehumidification system. In addition, you should keep your eyes out for the signs of mold. Mold can be black, multi-colored, or invisible. Look for signs of mold in the laundry room, under the refrigerator, by the AC unit, and in the bathrooms. When you see visible mold you can clear it with a product like Clorox. However, when mold is visible it is likely to have invisible spores nearby that could be the source. Mold grows in the air where it reproduces as spores. You will not see these spores but a mold testing service can determine whether they are present and how widespread the issue is. If you see signs of mold, you should contact a Bergen County mold testing service. Summer is a time when mold thrives due to prime incubation conditions. Take the time to understand mold and what issues you may face. Mold can cause health problems, including respiratory issues, and keeping it out of your home is imperative for your family’s health! Contact our team at Certified Mold for more information on mold and whether hiring a New Jersey mold tester to come to check your home is ideal. Certified Mold Testing, LLC is the premier mold testing company for the New Jersey area and is located conveniently in Mahwah NJ. Let our knowledgeable staff ensure that you know whether mold exists in your home and if it does just how widespread the issue is. Keep your eyes out for mold in your home at this time of year because mold loves summer! Click here to read “Mildew and Mold” from This Old House.